Draftermax is a leading drafting service and design firm located in New Jersey, USA. They have been in the drafting and design business for many years now are popularly known for their creativity, high quality drawings, efficiency, constant and easy correspondence with customers, professionalism, competitive prices, quick turn around times and their excellent customer service. A large variety of services is offered to customers at Draftermax and these are planned and worked on in complete accordance with each customer’s individual needs and preferences to ensure one hundred percent customer satisfaction. Drafting service varieties offered by Draftermax include plans, shop drawings, paper to CAD conversions, 3D modeling, rendering, and animation. All their services are available at affordable rates which are variable and depend upon different factors such as the size of the project and the turnaround time demanded by the customer. If you’re looking for a drafting service company for architectural, engineering, mechanical or electrical needs, look no further then Draftermax because they offer it all with the highest standards. Draftermax is a drafting company which takes great pride in their talented and dedicated team of engineers, professional architects, graphic designers, artists, staff, customer service representatives, and animators who have been specially and professionally trained in their specific line of work. They also offer to hold pre-process consultations with their customers so that they know exactly what the client wants, and they can hold these meetings during the process so that clients can build upon their ideas and alter designs as they develop. Draftermax offers their drafting service expertise to home owners, contractors, manufacturers, designers, landscapers, web services, publicists, and all other businesses in the US and beyond. They offer the perfect blend of trained professionals well equipped with skill, expertise, and experience with the latest technology which helps them create masterpieces in perfect accordance with their valued customers’ demands. They understand that each client has a distinct taste and personality, and they strive to create drawings and drafts that reflect these unique distinctions. A website has been excellently designed for them which is easy to navigate and has their drafting service samples and details sorted in to categories so that customers can find exactly what they are looking for in a hassle-free way. Categories found on the website include architectural CAD samples, shop drawing samples, 3D samples and animation samples. In addition to this, for customers who would like to contact the Draftermax team with questions or comments or would like to ask them for a quote can do so easily from the contact page on their website. 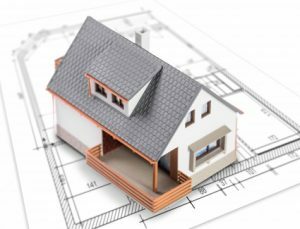 A drafting service specialty at Draftermax is the architectural drafting and related services. These have special attention paid to detail, are highly specific and accurate and can be worked upon with specific instructions from the client. Services include furniture plans, millwork drawings, clock library development, floor plans, elevation drawings, site plans and landscape architect drawings, construction drawings and much more!